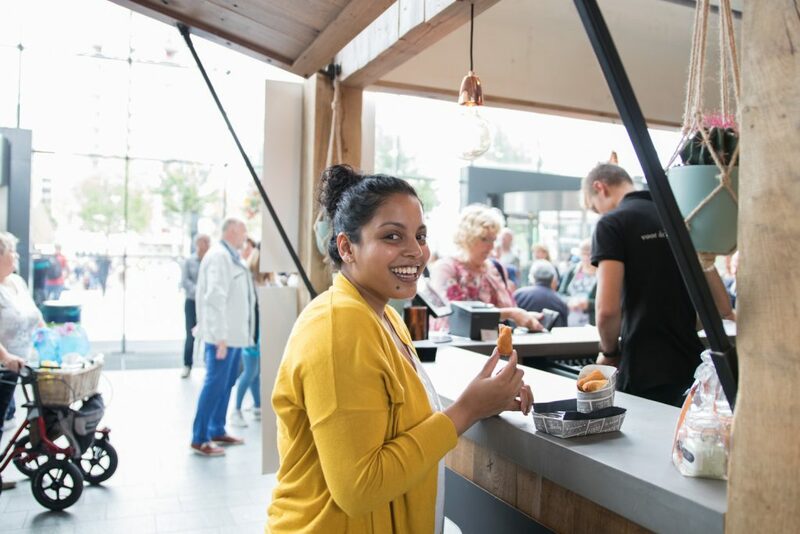 The ‘kroket’ is one of the things our The Netherlands is famous for. Another must visit when you are in our hometown! 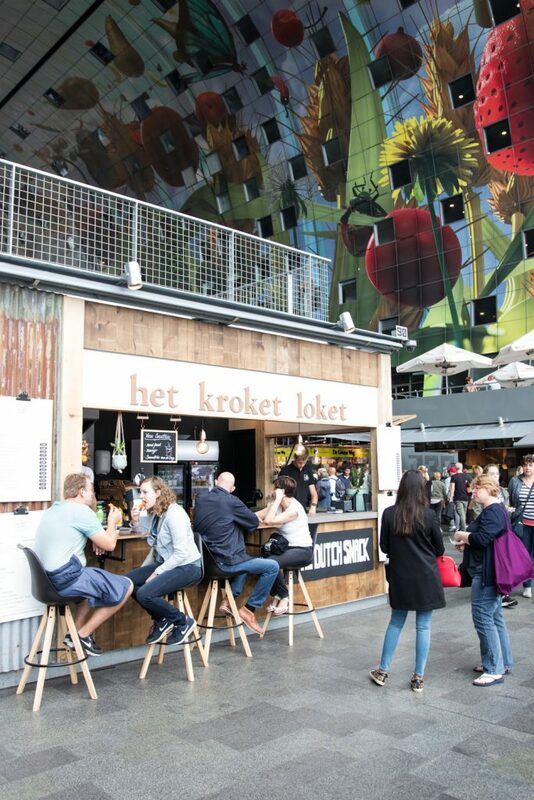 We were so excited to learn that Kroketloket would be opening a store in the ‘Markthal’ in Rotterdam. We had already visited them in the Hague and we absolutely loved the concept. 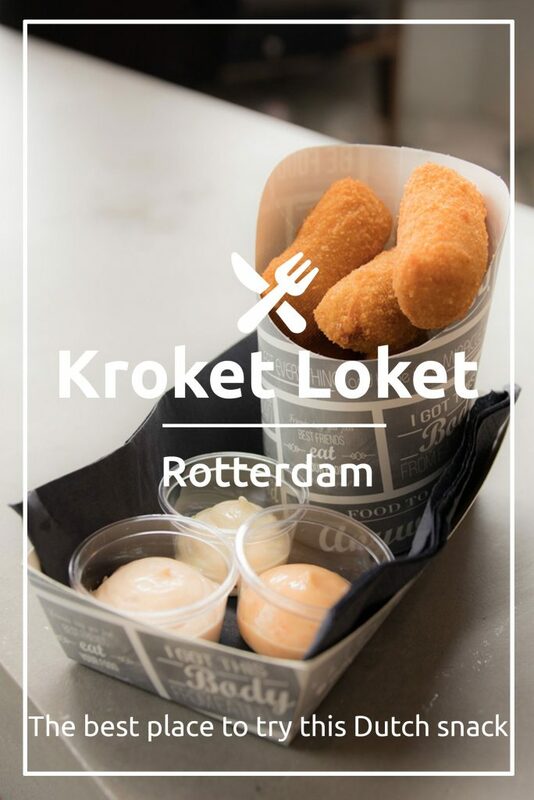 Since the ‘kroket’ is our favorite snack and a real Dutch delicacy, we just had to share this amazing place with you guys. 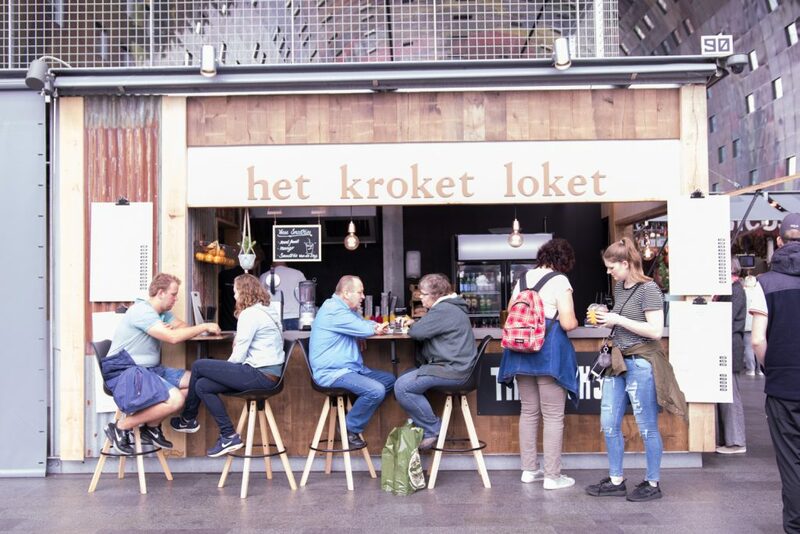 Read on to find out why a visit to Kroketloket should be on your to do list when you visit the Netherlands. The ‘kroket’ is one of the things our country is famous for. This fried snack is crispy on the outside and has a soft filling usually made from beef inside. The kroket you can get at Kroketloket are different. Besides having a beef kroket, they have several other flavors. Shrimp, cheese, duck or truffle mushroom are just some of the mouthwatering fillings. The Dutch usually eat their kroket on a soft bun, but also plain with a dipping sauce as a snack. At Kroketloket you can order both! The owner of Kroketloket, Jasper, started this business when his brother kept creating different types of kroket. He just knew he had to share these yummy snacks with the rest of the kroket lovers in the world. 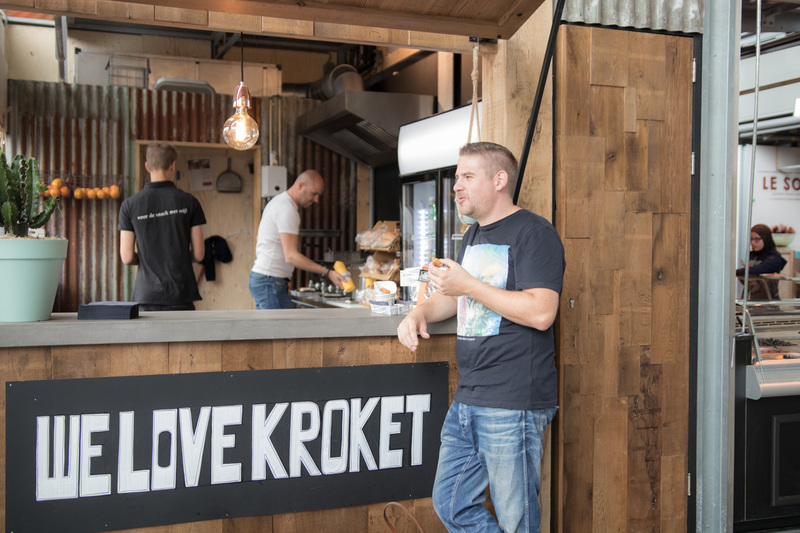 Kroketloket is still a family business; Jasper fries, his brother makes the kroket and their dad creates all the wonderful sauces that accompany the different kroket! We’ve tried their shrimp, cheese, spicy chicken and classic beef kroket on our last visit in The Hague. Each one was absolutely delicious, we could not decide which one was best! This time we got to try a ‘kroket tasting’ which consists of 6 kroket (2 of each flavor) and 3 dipping sauces. This is ideal for sharing! 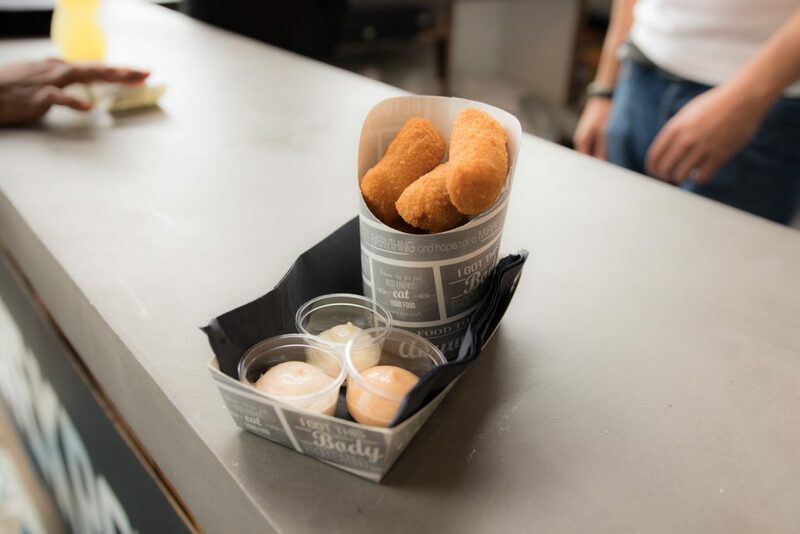 The kroket tasting consisted out of a chorizo (Spanish sausage) kroket, a crab kroket and a tomato mozzarella pesto kroket. Ranald’s favorite was definitely the chorizo one and Chalana loved the vegetarian tomato mozzarella pesto kroket! With so many options, choosing can be difficult. The staff however is great in telling you about the different kroket and they can suggest which sauce to pair your kroket with. 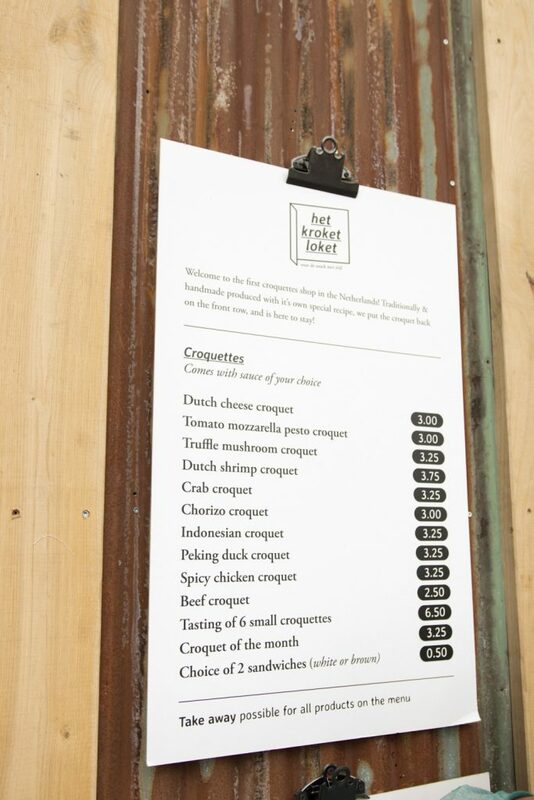 We like that there are so many different options, so there is a kroket that suits everyone’s taste!